In the passing of international woman’s day and in the wake of the #TimesUp and #MeToo movements the gender differences across almost every area of our lives is being pulled in to focus, shining a light on areas that if changed could make this world a fairer place. Within this movement, one area that remains opaque is why woman invest and in turn, benefit from investment less than men? Is there a gender investment divide? 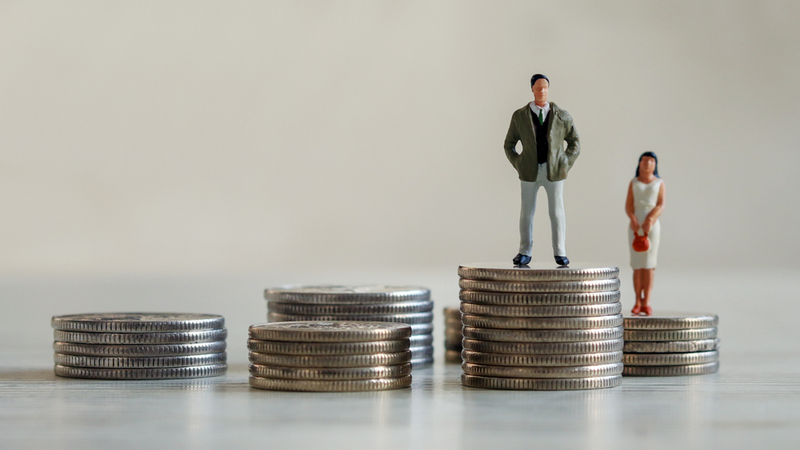 Women invest less than men in the UK The first and most apparent reason stopping woman from investing as much as men is the pay gap between genders. The BBC currently stats that the gender pay gap stands at 18.4% in favour of men equating to a difference of £5380pa on average UK salaries. Last year a report by Money Farm stated that “half of the women without financial investments in Britain cite a lack of funds as the most common barrier to investing” The absence of disposable income at the end of the month makes it unlikely that woman can invest. The natural follow-on effect of lower pay amongst woman is lower pension pots. Overall, the number of women contributing to a personal pension grew from 1.94m in 2011-12 to 3.65m in 2015-16, according to government statistics. During the same period, the number of men making payments into a personal pension rose from 3.37m to 5.31m. Over the course of a lifetime, taking in account that investment go up means that gender variations in total lifetime earnings remain substantial, with men earning – on average – 80% more than women. This in part might be attributed to women who have children but take no career break still face a “motherhood pay” hit. Research for the Pensions Policy Institute found that when compared to men, there is a gap of £7 a week, or £364 a year, for the average-earning woman with two children, even if she takes no break from full-time work. All of these factors result in average woman’s workplace pension having £53,000 in it, compared to £120,000 for men, according to research from Close Brothers Asset Management and the Pension and Life Savings Association. As women have entered the workplace and earn their own money many industries have stepped up to the challenge of selling to female consumers. It is hard to think of any consumer based products that do not now have gender-specific versions at a cater to this market except when it comes to the financial services industry. One of the biggest studies carried out in recent years by Kantar on over 30,000 woman found the perception of banks advertising fails to consistently communicate qualities including, ‘understanding’, ‘dependability’ and ‘accessibility’ to women when tested using facial recognition technology. Although progress feels slow on the first two issues, it is being made. None-the-less research from the Pensions Policy Institute found that 76% of women aged over 60 are single, widowed or divorced meaning they will have to support themselves and the fact that they will live longer than men only intensifies the need for woman to start investing now. Evidence suggests that woman would make great investors following a “buy and hold” approach based on loyalty. Also, it appears that woman are more prepared to consider at Alternative platforms when investing, possibly as a result of new ways in which they are being engaged giving some insight into addressing point 3 and 4? It also makes good business sense and creates a massive opportunity for the right companies to cater to a new potential market (potentially worth £130bn). In the past Tech has challenged convention, given changes happening within financial services there is no reason why technology cannot address the ‘investment gap’ opening doors, that in the past have been closed for no good reason.